The interim Chairperson of Kwania District Local Government Mr. 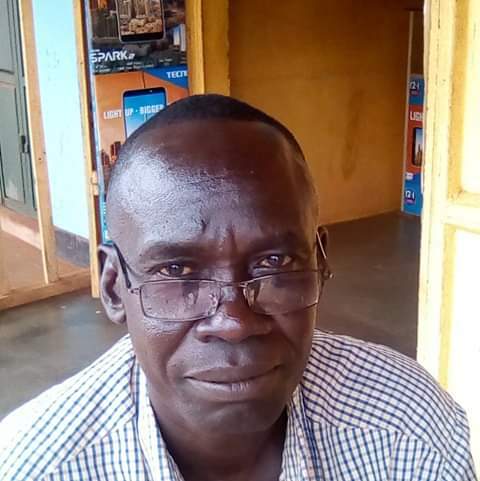 Basil Anthony Okello Onac(pictured) has vowed to be open to all ideas and not leave any one out during his tenure as the district chairperson to ensure that his work is in line with the interests of the people he represents. He made the remarks while welcoming the Bishop of Lira Diocese Bishop Sanctus Lino Wanok who was on a pastoral visit in Aduku Catholic Parish on Sunday 7th April 2019. Mr Basil Anthony Okello Onac noted that views from people with formal education are not enough adding that, some views voiced by people who have not studied will be accepted to guide him in his leadership. He urged the residents to desist from division as a result of political affiliations which he says will not take them anywhere. Meanwhile, he implored all religious leaders to approach his office and guide his team on issues of development. He thanked Bishop Sanctus Lino Wanok for his pastoral visit that also coincided with his birth day saying it was a blessing for the people of Aduku to celebrate together with their Shepherd his 62 Birth Day anniversary.